High Demand, Low Supply = ? Steamboat single family home prices are on the rise, but Buyers are left with few options to choose from due to limited inventory. News headlines have recently claimed that the national real estate market is slowing down; these claims, without a doubt, have created a glimmer of hope amongst home buyers seeking increased inventory and lower prices. While the market may in fact be showing signs of deceleration, in reality that means that it’s just not growing at the torrid pace of the last few years. 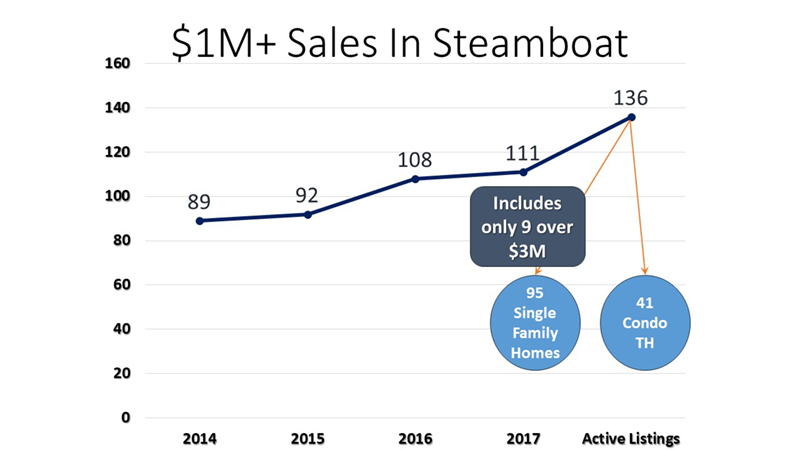 In the last three months, activity in the Steamboat market, $81M, is not on pace with the immense total sales volumes of the last two years. By comparison, in 2018, three months volume was at $88M and in 2017, it was at $96M. 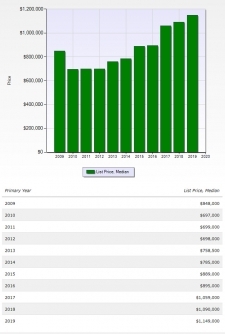 Steamboat's single family median home sale prices have rebounded from the recession of past years. How much is your home worth in today's market? Contact the Metzler Team to find out. In the past 18 months, there have been 6 residential home sales over $3 million in or within 5 miles of Steamboat Springs. Nick Metzler and his team were honored to broker 4 of these 6 transactions in a continued effort to serve as Steamboat's trusted name in real estate. Please contact us today to learn more about our strategies to sold, across ALL price ranges and types of properties. With potentially over 10 new developments on the horizon for Steamboat's future, many are wondering questions such as, "Where are these new neighborhoods?" and "Which are fully approved vs in conceptual stages?". 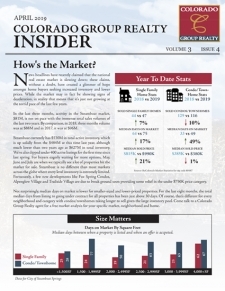 Check out our latest report to view locations and status updates on each. Call or email the Metzler Team to learn more! STEAMBOAT SPRINGS — After years of pondering and planning, Steamboat Resort on Friday announced it will be replacing the gondola. Steamboat Ski and Resort Corp. President and COO Rob Perlman made the surprise announcement during an event in Gondola Square, where he gave praise to a great early season and the work that staff has done to prepare the mountain. "We'll work all summer to replace the gondola," Perlman said. The ski area did major upgrades in 2017 to the 30-year-old gondola, which had 80,000 hours of running time. The project included replacing the haul rope, grips, hangers and terminal equipment. A new control system also was installed. The Colorado Group Realty Charitable Foundation is our way of giving back to the community. Our mission is to give financial support and walk side by side with local charities to make our community a better place. With each real estate transaction a CGR agent completes, they generously donate to the Foundation. We support local non profits that are near and dear to our clients' and agents' hearts. Do you have a local charity you care about? Ask me how our Foundation can get involved! WE DO MORE. WE CARE. Do "good deals with great value" still remain out there? As Steamboat’s real estate market continues to strengthen in 2018, many are left to wonder, “Have property values rebounded to the levels of our last peak in 2007?" 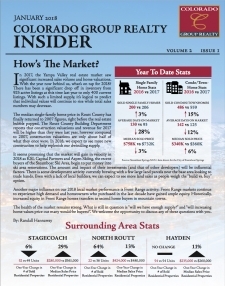 Even in an era of escalating home prices, homes priced below $200,000 have been one of the most active market segments in the Steamboat Springs and Routt County real estate market. But that may be about to change. 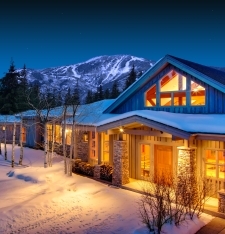 After over 8 years of listing attempts with other Steamboat Springs brokers, Metzler Team rebrands, lists, and sells Emerald Meadows Estate in 14 weeks for $3.799M. Unlock 26 iconic destinations in North America with the Ikon Pass - including unlimited access to Steamboat - and there’s only one week left to save big for the whole family. With purchase of an Adult Ikon Pass. STEAMBOAT SPRINGS — Strings Music Festival on Monday announced its summer concert lineup for 2018, with 32 concerts planned on evenings in June, July and August. Among the highlights of the summer lineup are performances from singer-songwriter Melissa Etheridge on July 27, folk singer Amos Lee on July 29 and a evening with Brett Rowan & Friends and country singer Joe Nichols on July 8. Rowan, a Nashville session guitarist and record producer who lives in Steamboat Springs, and Nichols performed together at the 2014 Navigator Awards celebration in 2014. Nick's Predictions – What might we see in 2018? Expect to see new home construction significantly increase in pace. For the first time in 10 years, there will be new homes for sale that are under $1m, as the existing inventory has completely dried up. Call us for details for information on new homes coming to the market this year. Existing homes under $1.5m should see gains this year while there are homes on the market or coming to the market, above $2m, well below replacement value. Buyers in this price range still have opportunities (this market range is also likely to dry up this year if sales outpace new home construction). STEAMBOAT SPRINGS — The joint venture of affiliates of KSL Capital Partners and Henry Crown and Company that owns Steamboat Ski Area has a name — Alterra Mountain Company. Headquartered in Denver, the newly named company is comprised of 12 destinations and was created when affiliates of KSL Capital Partners, owners of Squaw Valley Alpine Meadows, and Henry Crown and Company, owners of Aspen Ski Co., purchased Intrawest, Mammoth Resorts and Deer Valley Resort in 2017. The name "alterra" a fusion of the words altitude and terrain/terra, paying homage to the mountains and communities that form the backbone of the company, Alterra officials said. Sales volume for Nick and his team is keeping a healthy pace of one million dollars of sold real estate per week. Nick added, "I'm very grateful for the opportunity to advise and assist so many of my friends and loyal clients. It's a blessing for me, my family, and my team! We will reinvest in better tools and back into the community we all love!" Be on the lookout next month for 2017 year end sales data and Nick's predictions for real estate in 2018! Five bull moose showed up in Nick's front yard this Christmas and were dancing as though they heard the Good News of this day. Santa's Rocky Mountain reindeer! Sunlight released 48 lots for sale this summer, and there are only 7 of these lots remaining for sale. 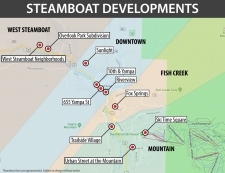 Twenty four of the lots were purchased by a Steamboat/Texas partnership that is intending to building single family homes this year, hopefully 8 per year. This entry-level market has not seen a new home for sale in over a decade, and we are excited to see that a change is on the way to fill the void. Call the Metzler Team for update at 970.846.8811. In 2017, the Yampa Valley real estate market saw significant increased sales volume and home valuations. With the year now behind us, what’s on tap for 2018? There has been a significant drop off in inventory from 925 active listings at this time last year to only 400 current listings. With such a limited supply, it’s logical to predict that individual values will continue to rise while total sales numbers may decrease. Colorado Group Realty recently presented individual brokers and teams with awards that show leadership and strength within the firm and the market as a whole. The Metzler Team was awarded both 2017 Top Producing Team, and Metzler was award the 2017 Most Charitable broker award, donating thousands of dollars in 2017 towards the Colorado Group Realty Charitable Foundation. 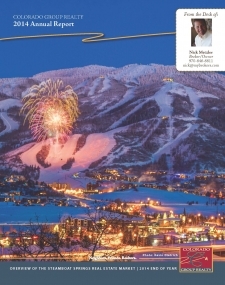 The Metzler Team is thankful to serve so many fellow clients and friends in their Steamboat Springs real estate needs. "Hitting the Slopes in Chile," features Andy and Sarah Kerrigan's decision to pull their kids out of school, quit their jobs as nurses and move to Chile to learn Spanish and experience a different culture as a family. The episode will air at 11:30 p.m. Wednesday, Jan. 3 and 2:30 a.m. Thursday, Jan. 4. Tax Cuts and Job Act: What Does It Mean? The Tax Cuts and Jobs Act - What it Means for Homeowners and Real Estate Professionals? The National Association of REALTORS® (NAR) worked throughout the tax reform process to preserve the existing tax benefits of homeownership and real estate investment, as well to ensure as many real estate professionals as possible would benefit from proposed tax cuts. Many of the changes reflected in the final bill were the result of the engagement of NAR and its members, not only in the last three months, but over several years. Verizon Wireless customers will find it easier to text and invite their buddies to the breweries and restaurants in west Steamboat Springs thanks to a new cell phone tower that is being planned near Elk River Road. A before-and-after coverage map provided by Verizon shows the businesses at Curve Plaza and Copper Ridge Circle should see significant improvements in terms of their cell phone coverage and LTE data connections. We made a slider map below to show exactly how the LTE coverage is expected to change with the installation of the new tower. The tower’s location is marked on the map by a dot next to the Steamboat Springs Airport. Areas shaded in green receive the best cellular data connections. New Listings were down 17.7 percent for single family homes and 34.1 percent for townhouse-condo properties. Pending Sales increased 25.9 percent for single family homes and 23.7 percent for townhouse-condo properties. New Listings were down 46.8 percent for single family homes and 24.2 percent for townhouse-condo properties. Pending Sales increased 20.0 percent for single family homes and 37.8 percent for townhouse-condo properties. New Listings were up 59.1 percent for single family homes but decreased 4.8 percent for townhouse-condo properties. Pending Sales decreased 4.0 percent for single family homes and 20.5 percent for townhouse-condo properties. New Listings were up 20.8 percent for single family homes but decreased 26.1 percent for townhouse-condo properties. Pending Sales remained flat for single family homes but increased 37.1 percent for townhouse-condo properties. The Median Sales Price was up 13.8 percent to $657,000 for single family homes and 1.1 percent to $331,750 for townhouse-condo properties. Days on Market decreased 18.6 percent for single family homes and 5.6 percent for condo properties. New Listings were down 27.6 percent for single family homes and 41.8 percent for townhouse-condo properties. Pending Sales increased 35.7 percent for single family homes but decreased 32.7 percent for townhouse-condo properties. The Median Sales Price was up 17.6 percent to $600,000 for single family homes but decreased 1.8 percent to $292,500 for townhouse-condo properties. Days on Market decreased 31.1 percent for single family homes and 21.8 percent for condo properties. New Listings were up 18.2 percent for single family homes and 29.5 percent for townhouse-condo properties. Pending Sales decreased 6.9 percent for single family homes and 23.9 percent for townhouse-condo properties. The Median Sales Price was up 49.9 percent to $662,500 for single family homes and 21.1 percent to $334,950 for townhouse-condo properties. Days on Market increased 27.7 percent for single family homes and 22.1 percent for condo properties. New Listings were down 33.3 percent for single family homes and 26.7 percent for townhouse-condo properties. Pending Sales decreased 10.0 percent for single family homes and 5.3 percent for townhouse-condo properties. New Listings were down 9.1 percent for single family homes but remained flat for townhouse-condo properties. Pending Sales increased 46.2 percent for single family homes and 56.5 percent for townhouse-condo properties. Untrammeled oases beckon, once-avoided destinations become must-sees and familiar cities offer new reasons to visit.Steamboat Springs rings in at #19! Steamboat Springs used to be a snow globe filled with champagne powder snow, cowboys and gold miners. That’s changing through a community renaissance sparked by chefs, restaurateurs, entrepreneurs and farmers who make the Yampa Valley their home. of those market categories. Multiple offers and bidding wars have returned to some market segments. A new website, SteamboatBikeTown.com designed and funded by the Steamboat Springs Bike Town USA Initiative, is an online bike guide filled with interactive trail maps, event calendars and image galleries and is the most comprehensive website dedicated to cycling in Steamboat. Built by riders and for the riders, the online bike guide is organized into geographic riding zones within Routt County and is further segmented by riding type. Whether you're a family looking for a leisurely cruise, a full-face helmet downhiller, or a roadie looking to tackle a century - the bike guide has it all. Click the image below to access the website. The good news for housing is that price gains next year are expected to be only about half as strong as in 2013, when sellers stayed on the sidelines. Yes, that's good news. "For a sustainable recovery you want to see more balance between buyers and sellers," says David Stiff, chief economist at CoreLogic Case-Shiller, which is forecasting a 6.8% rise in the median home value for 2014.